Founded in 1954, the Archives of American Art, Smithsonian Institution, fosters advanced research through the accumulation and dissemination of primary sources. Unequaled in historical depth and breadth, the Archives’ nearly 6,000 collections document more than two hundred years of artists and art communities in the United States. The Archives’ oral history collection—the world’s largest collection of in-depth, first-person interviews with artists, collectors, and other important art-world figures—includes more than 2,300 audio interviews. 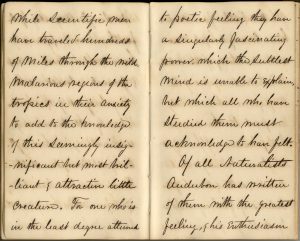 Access is at the heart of the Archives of American Art’s mission. Thousands of researchers visit its research centers in Washington, DC, and New York each year to consult original materials and microfilm. Finding aids are available online for more than 800 collections comprising nearly 10,000 linear feet (60%) of the Archives’ holdings. Archives staff processes an average of 800 additional linear feet each year to make an ever greater percentage of the collections easily accessible to researchers worldwide. Text-searchable transcripts for nearly 1,000 oral histories are also available on the Archives’ website. An international leader in the digitizing of archival collections, the Archives also makes some 2.5 million digital images freely available online, comprising 200 full collections and tens of thousands of representative images from collections that are not yet fully digitized. In addition, the Archives lends material to exhibitions around the world, mounts its own exhibitions in its permanent gallery in Washington, DC, and produces publications, including the peer-reviewed Archives of American Art Journal, the longest running scholarly journal in the field of American art. 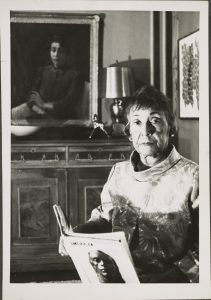 Alma Thomas, n.d., Alma Thomas papers, Archives of American Art, Smithsonian Institution. 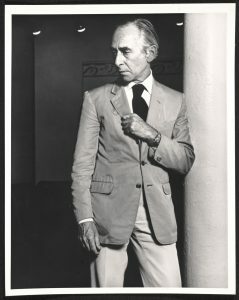 Leo Castelli at the Castelli Gallery, 420 West Broadway, 1978. Leo Castelli Gallery Records. Archives of American Art, Smithsonian Institution. Martin Johnson Heade, Notebook on Hummingbirds, ca. 1864-1881. Martin Johnson Heade Papers. Archives of American Art, Smithsonian Institution.